Martin Hedemann Larsen is attracted to simple, everyday objects. He wants to create honest products, which is reflected both in the form and in the choice of materials. Through various projects, Martin is curious to explore new techniques and aestethtics. 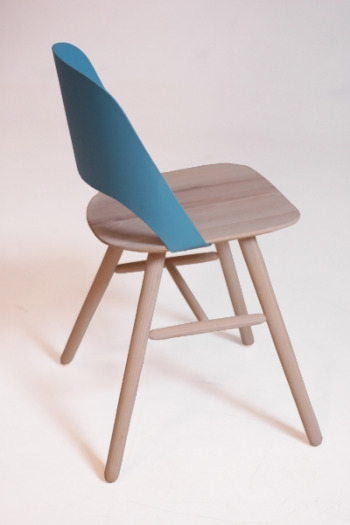 Martin graduated in 2011 with a BA in furniture design from Bergen Academy of Art and Design. 1+1 is a meeting between traditional handcraft and modern design. The chair's back and its base can be viewed as two different parts that are assembled into one whole. 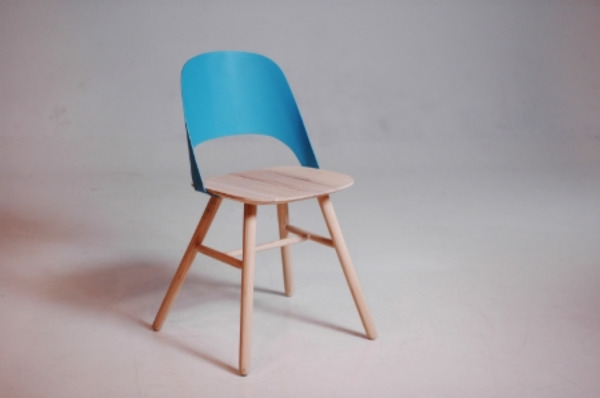 In addition, it turns around the traditional structure of a chair, with its aluminum back and its wooden legs. The aluminum back will appear in different colours.